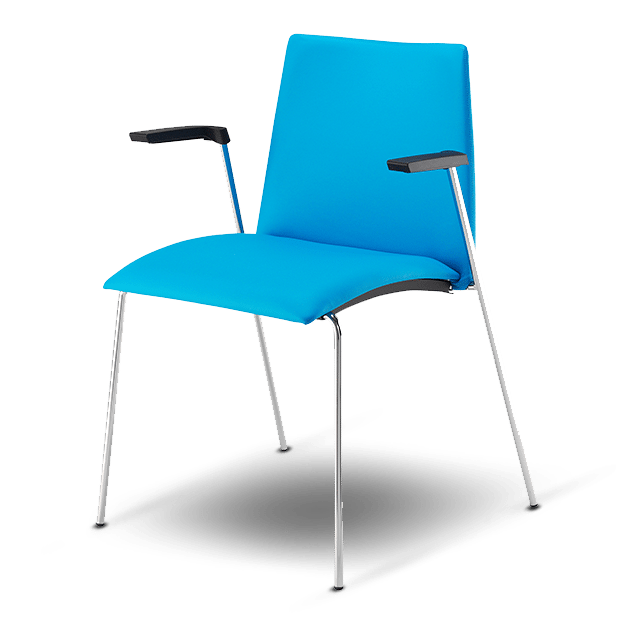 The slim, elegant chrome frame on this bistro-style chair supports a robust fibreglass shell, offering outstanding long term value. Lightweight yet sturdy, the Vista range works brilliantly in a cafe or dining environment, the high stools are ideal for bars and media units, while the tablet offers conferencing flexibility. Covered in high-quality foam, Vista doesn’t compromise comfort for style. There’s a choice of 4-legs or skid frame and linking is available if you want to be joined up.